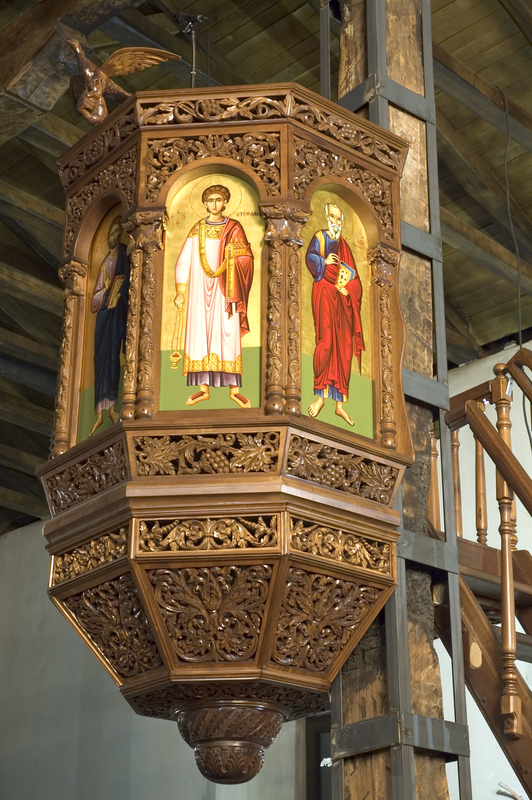 The wooden pulpit is rich in handicrafts and remarkable carvings. It usually shows representations of the holy Evangelists. In the middle, where the holy Gospel is placed there is a bas-relief pigeon that symbolizes the Holy Spirit. 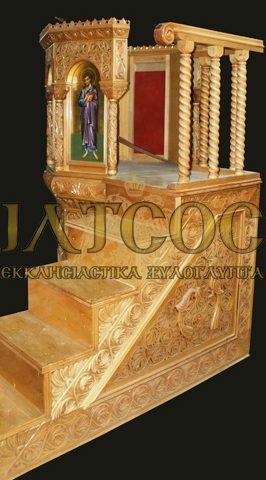 The wood carved pulpit may be constructed and installed as a suspended or sitting pulpit depending on the needs and layout of the Church.